After three weeks of great app introductions, it's time to see what Apparoo, the app discovery service for busy moms, has found for this week! This week Apparoo is sharing a organizational app for us moms! Description: Ever wondered what happened to the 'paperless desk' we were all supposed to have by now? The endless influx of bills can be overwhelming – and buried bills mean late fees. Manilla is a simple, secure and free way to de-clutter your desktop. It retrieves and organizes household bills, bank, credit card and healthcare accounts, travel rewards – even offline accounts like rent or babysitters. It reminds you when bills are due and files old statements so you don’t have to. So save a tree, reclaim your desk, and never pay a late fee again! 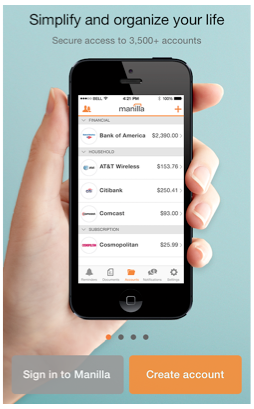 Download it here on iTunes and let me know what you think of this convenient, money-saving app! I'm going to have to check out "Manilla". Having a paperless desk would be great. Thanks for the information. I don't have a smart phone to use it on, but I could try it on my iPad mini. 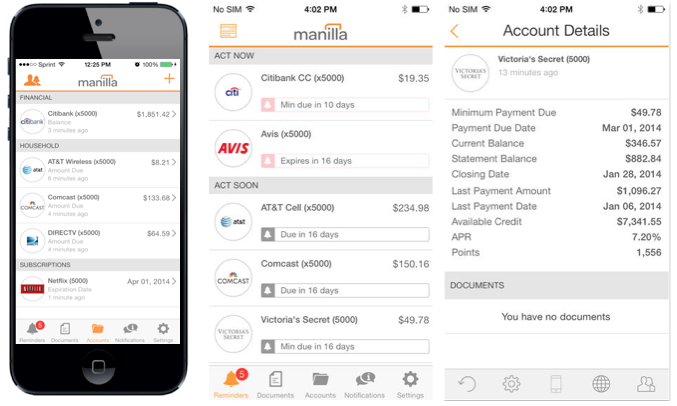 This new app Manilla looks great, just the thing to help organize your finances, never pay a late fee again. Thank you for sharing this review. thanks for the heads up. this might help me a lot because i have a lot of paper bills laying around.